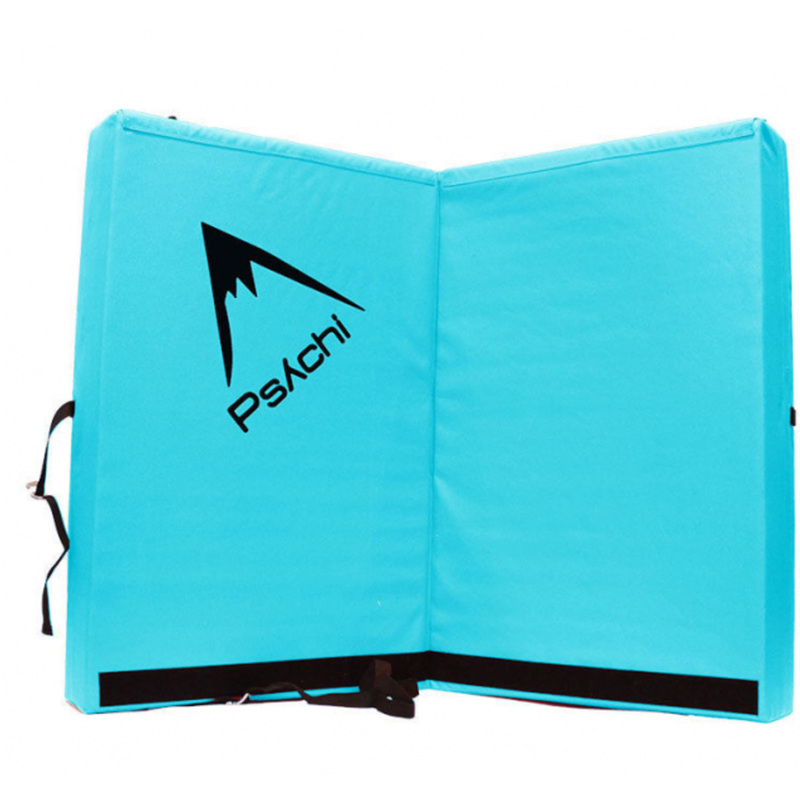 The Psychi Dual Fold Crash Pad is your standard bouldering mat with excellent value for money. It has all the standard features, including dual density foam cushioning, a hard-wearing outer shell, padded and adjustable shoulder straps, and aluminium buckles. It even has velcro straps which allow you to connect two Psychi pads together and remove any unfriendly gaps, a feature not always found on more expensive pads. This is a great mat in a do-it-all size and will suit any boulderer looking for versatility and value. I just took this pad out with me for a couple days bouldering in Portland. It managed everything I hoped it would. Partnered it up with my mates black diamond pad and he couldn’t believe the difference in price I paid. Yes it’s a little bit bulkier but grevat to land on and the back straps are really sturdy. I highly recommend this product. 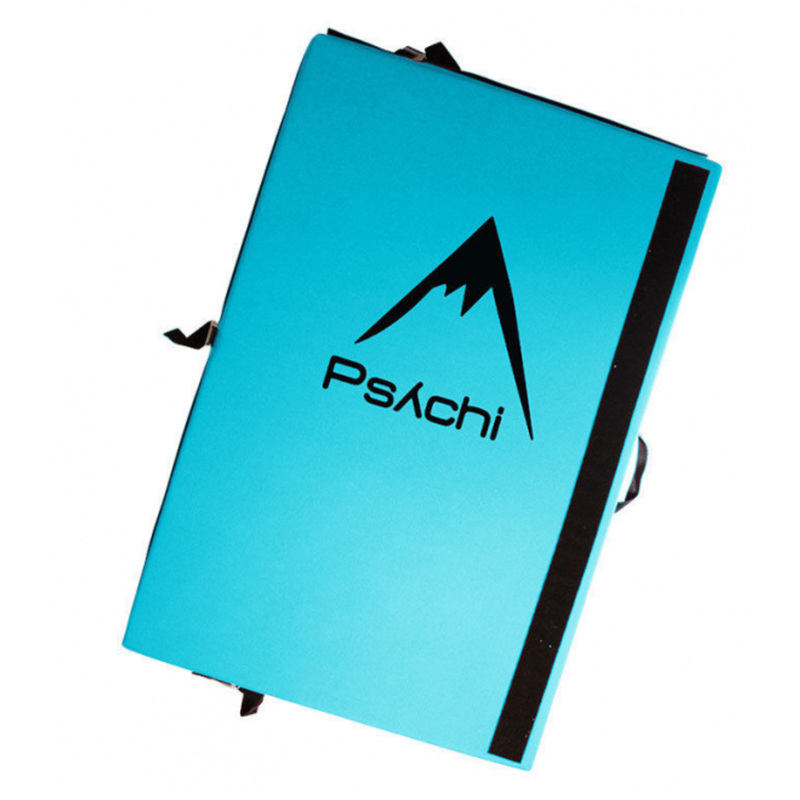 The Psychi Dual Fold Crash Pad is a great briefcase pad with an affordable price tag. It's large enough to ensure a safe landing but small enough so that it doesn't take up too much space in the trunk. The foam is surprisingly high quality and has remained firm even after taking a good amount of falls. As for the cons, the strap system could be more comfortable so this is not the most ideal pad for long approaches especially if you need to stuff a lot of heavy gear in the pad. That said, I have biked ~5 km trips to local boulders with the pad on my back and didn't experience too much discomfort. The pad itself is pretty light. Another con is the quality of stitching. The pad hasn't broken or ripped per se, and the stitching has held up nicely in the most critical seams, but it has started to unravel at the attachment points of the carry straps. Overall, this is an excellent choice for anyone in need of a basic pad that doesn't break the bank.